Paige Dolecki - Stampologist: H2H Challenges - Go Green Lucky 4 Leaf Clover Framed Art plus a Giveaway! 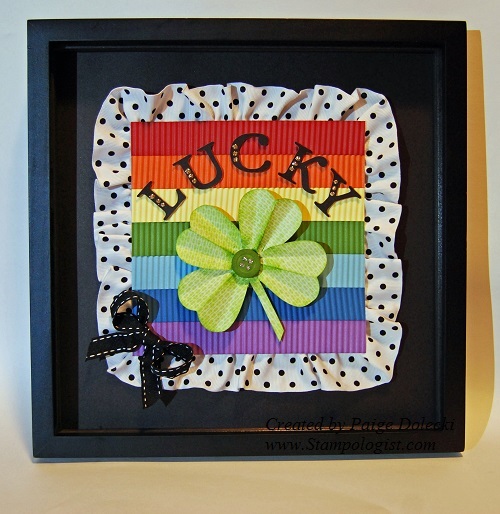 H2H Challenges - Go Green Lucky 4 Leaf Clover Framed Art plus a Giveaway! If you've been a reader for a while you know that I love to create seasonal framed art using my scrapping supplies so this week's Go Green challenge at Heart2Heart Challenges seemed the perfect time for me to create a home decor piece in honor of upcoming St. Patrick's Day! I have a deep set 12x12" frame that I picked up at Michael's on sale a while back that lets me create artwork with up to 2" in depth and still get it behind the glass (I removed the glass before taking the above shot to avoid glare). I use the same frame over and over and simply store the seasonal layouts in my craft room throughout the year in our 3 ring "Work in Progress" binders. Click here to check them out. 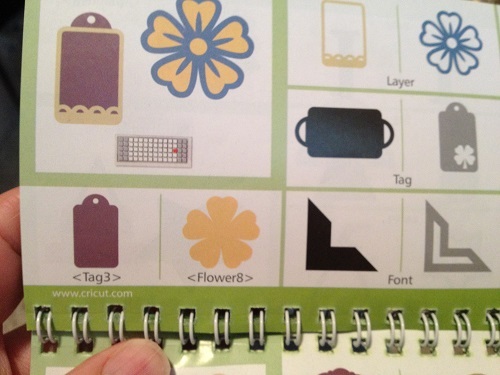 I created the clover by cutting out the Cricut Art Philosophy at 5" found on p.50 in the book. I cut apart the petals, folding them in half and then bending the outer edges up. I used the 5th petal to cut out the stem. I adhered them to a circle of scrap and put a button in the center to cover up the edges. I like using the font on Art Philosophy that has the dots for glitter or gem placement - it makes it so easy to be uniform! I used Almond Glitz Glitter Gel which looks gold when it dries. The rainbow background was created by cutting 1" strips of cardstock, inking the edges and sending it through my handy paper crimper. Love that thing - it gives so much texture and you aren't limited by length of your piece. The ruffled ribbon tanked my first attempt at this project (the first one wound up in the trash). I was using wired ribbon that I bought on a huge spool at Costco but I couldn't get it to stay on the edges of the first attempt. I used Tacky Tape and glue but no dice. I started over and this time I outlined where I wanted the ruffles on the bottom black cardstock and STAPLED the ruffled ribbon directly to my black base. It worked perfectly! I stacked some scrap paper under to build up depth and laid the rainbow piece right on top. Without my first disastrous attempt, this project was actually fairly fast to put together and I won't be shy about using the stapler to affix ruffled ribbon in future home decor pieces! I hope you'll hop on over to Heart2Heart Challenges this week and join in the fun by creating your own Go Green project. We are open to interpretation on this one - you can do St. Patrick's Day, something green or even green as in recycled or reused for your project! We only ask that you use mostly Close to my Heart products! If you need to replenish your supplies or just want to check out the latest items in the Idea Book, feel free to shop my website at www.Paige.CTMH.com. If you join my March 15th party, I am doing a Mystery Hostess party and giving away the Hostess Rewards if we hit $150! Even if we don't hit $150 I'm still giving away a free D size stamp set from my stash pulled from the order names (I have a big stash so there are lots of sets to choose from)! 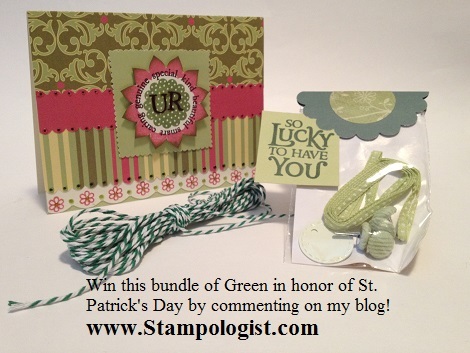 Winner will be pulled on March 16th just in time for St. Patrick's Day! What went into my project? So fun, Paige! I really love how the ruffle turned out (this time, lol.) Really like the dimension the crimping gives your artwork! 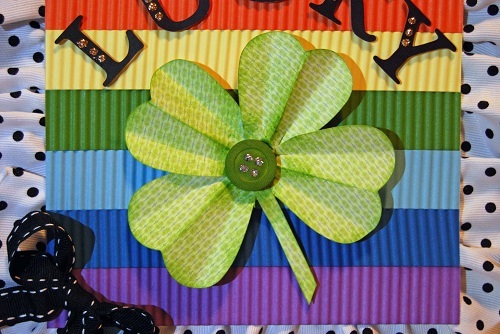 Very clever to use the flower cut for your shamrock. I love it! Thanks for your sweet comments! The headband you created for the Go Green challenge is fabulous - I'm sure your daughter loved it! 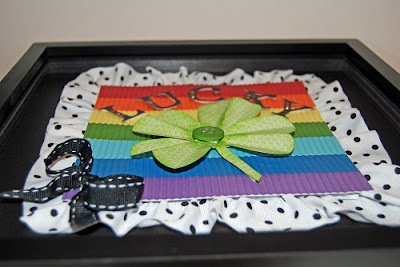 Love this colorful project and that you can put behind glass so the textiles don't get dusty! I just love your St. Patrick's Day frame Paige!! And love the idea to change it out for the seasons & holidays. I love to decorate for as many as I can & just might have to lift this idea! Thanks for sharing with us!